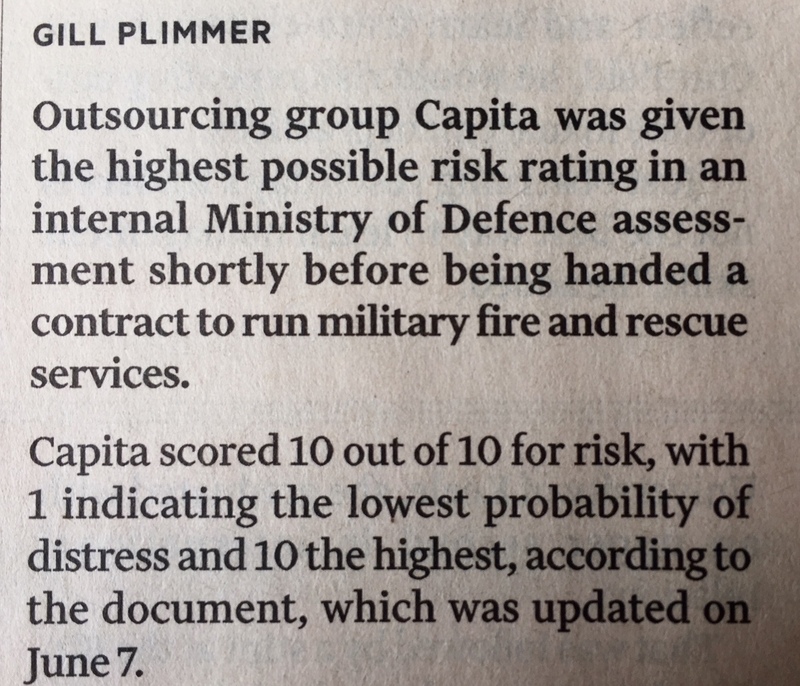 This is from the front page of today’s Financial Times. 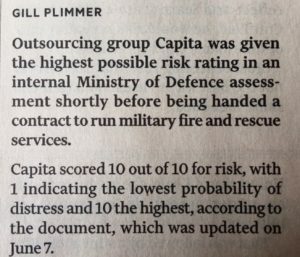 It’s a vivid demonstration of what happens to governments when they have imbided an ideology that says that when there is a choice between the state providing a service or outsourcing it to a private company, then it’s always best to do the latter. 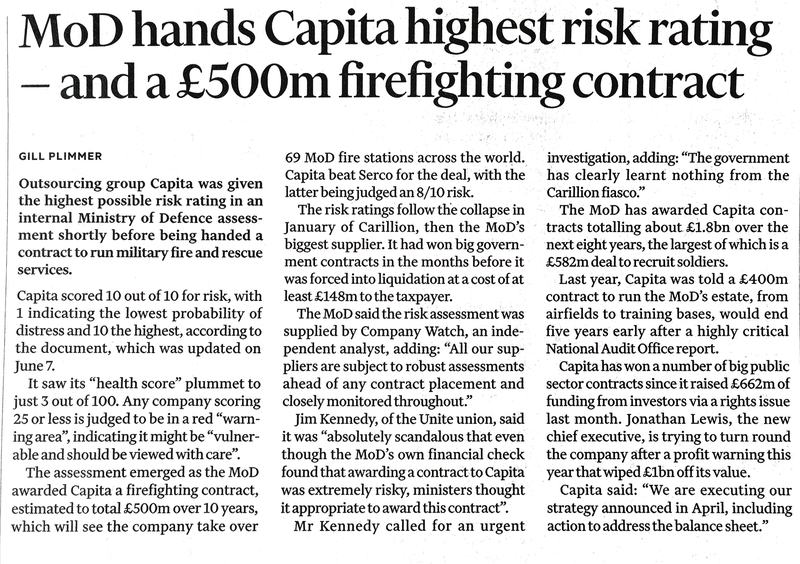 As a result, fire services at 69 RAF bases will be outsourced to the riskiest company available. Confirms my definition of ideology as “what determines how you think when you don’t know you’re thinking”. This entry was posted in Beyond belief, Neoliberalism by jjn1. Bookmark the permalink.